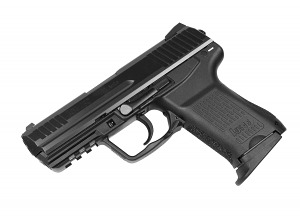 Brand new Heckler & Koch HK45C chambered in .45ACP, V7 LEM trigger, lumenescent sights, two 8 round magazines and additional grip backstrap. It's great that Top Gun Supply has in-demand guns in stock when none can be found in other places. As always, super-fast shipping and a great product!! A great pistol. I did a lot of research before purchasing. The LEM variant took a little getting used to.